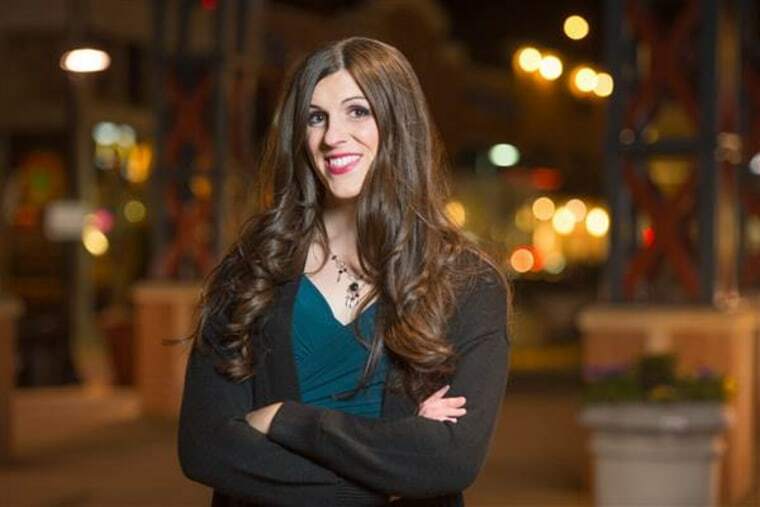 Danica Roem, a 32-year-old journalist and stepmom from Manassas, Va., made history Tuesday when she bested three other Democrats to become the first transgender candidate to win a primary for Virginia’s House of Delegates. Roem is one of seven LGBTQ candidates in Virginia to advance to November’s general elections, where she'll face off against incumbent Republican Bob Marshall. Should she emerge victorious, Roem would be the third transgender state legislator elected in the U.S. and one of only a few openly trans elected officials in the world. Delegate Marshall, who has represented Virginia's 13th district since 1992, has filed a number of anti-LGBTQ bills during his time in office. Earlier this year, for example, he introduced HB 1612, or the Physical Privacy Act, which would have mandated transgender people in the state use restrooms that correspond with their "original birth certificate," not their gender identity. Marshall did not respond to NBC Out's request for comment. The hashtags Roem used in her tweet refer to two issues that are sure to surface in the run up to the general election — #NoH8 refers to stopping anti-LGBTQ sentiment and legislation, and #FixRoute28 refers to a very local concern of transit on Route 28. Logan S. Casey, a research analyst at the Harvard Opinion Research Program, noted Roem's hashtags are a reflection of the “balance” between her historic political win and the nitty-gritty of local politics that she will have to navigate in the next few months. Tuesday's Virginia primary saw 89 contested races, and a turnout rate 170 percent greater than the last hotly contested gubernatorial race in 2009, according to Kip Malinosky, chair of the Arlington County Democratic Committee. “The overriding thing is that Democrats are enthusiastic about voting and are really going to come out strong,” he said. “Five hundred and forty thousand people voted in the Democratic primary, exceeding the Republican turnout by 140,000 votes,” he added. He said Trump’s “soaring unpopularity” was likely a factor that brought Democrats to the polls. This high turn out appears to have worked in Roem’s favor. She defeated her closest democratic rival by nearly 15 percent of the vote. “I am thrilled that Danica got it. That a transgender woman is going to challenge [Marshall] is perfect, but I don’t want to reduce this all to identity — [Roem] ran a good campaign, is very knowledgeable and is in a district Hillary won pretty handily," Malinosky said, adding that he thinks Marshall’s seat is “flippable” and one of the 17 the Democrats need to take control of the Virginia House of Delegates. Roem’s victory in a competitive Democratic primary suggests LGBTQ candidates are just as viable as their heterosexual counterparts, according to Casey. “Winning a competitive major party primary in a state like Virginia goes a long way to changing perceptions about what is possible," he told NBC Out. As for the general election, Casey said Roem "has her work cut out for her," noting that Marshall is an 11-term incumbent. However, he said the fact Roem is a lifelong resident of her district — with an existing network — will be helpful. “Regardless of the outcome of the election, there will be good and important work about who trans people are and what our place is in this country," Casey added. "It’s one of those intangibles, but it’s important."